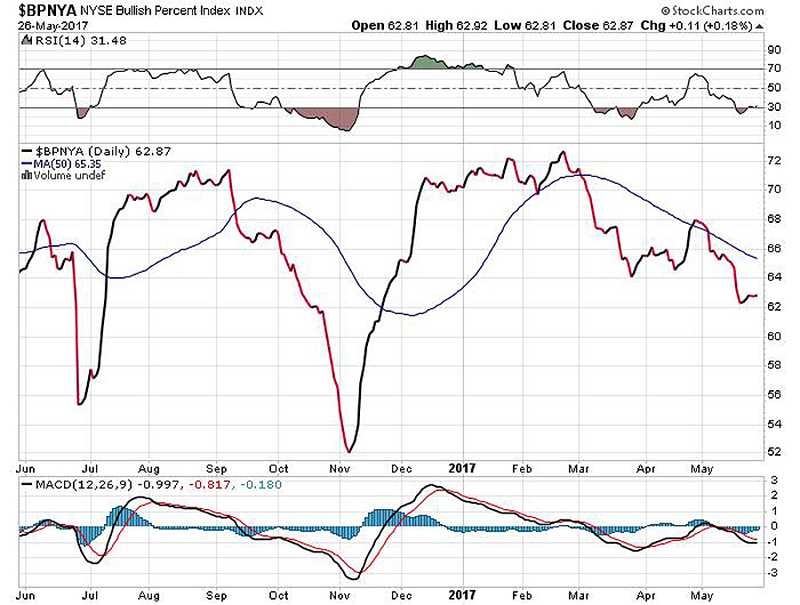 The chart below shows the Bullish Percentage on the New York Stock Exchange…the percentage of issues in a bullish up-phase based on whether or not they have Point & Figure buy signals. It’s also trending down during the current advance. One more: below is a chart of the number of stocks on the NYSE that are above their 50 day moving averages. Another downtrend. 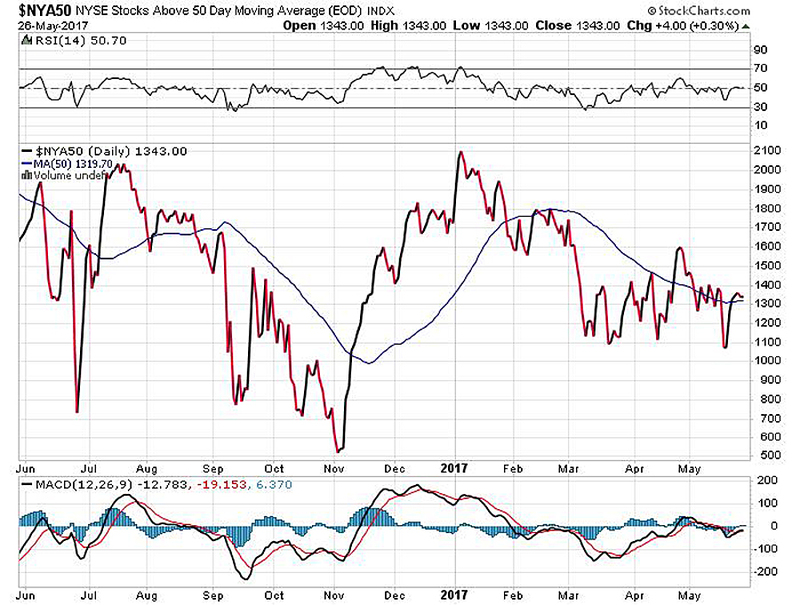 So, the market breadth for these new highs is poor and getting poorer. 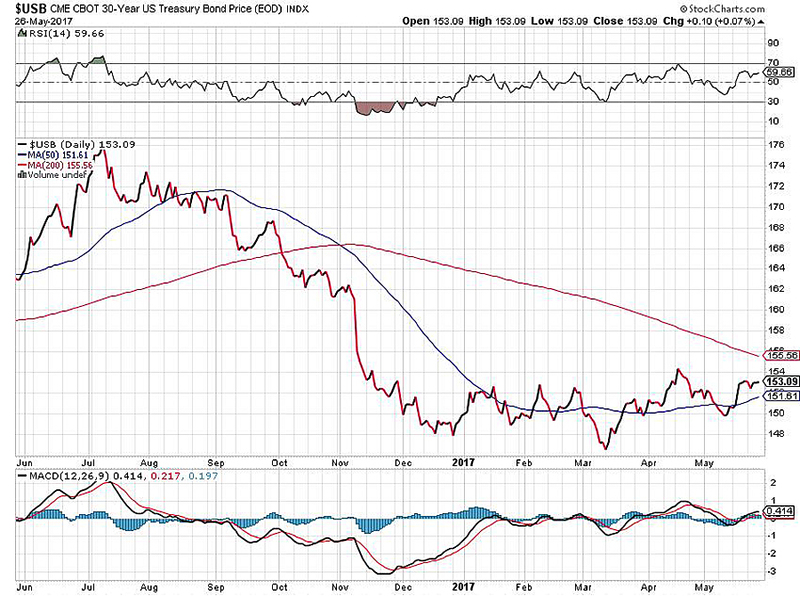 Lastly, despite stocks pushing to new all-time highs, the 30 year Treasury bond has stabilized and begun to rise (see chart below), slipping below a 3% yield again. A strong stock market, presumably backed by a strong economy, should be generating higher yields (lower bond prices), especially at the long end and especially when the Fed has declared that it is in a rate hike mode. 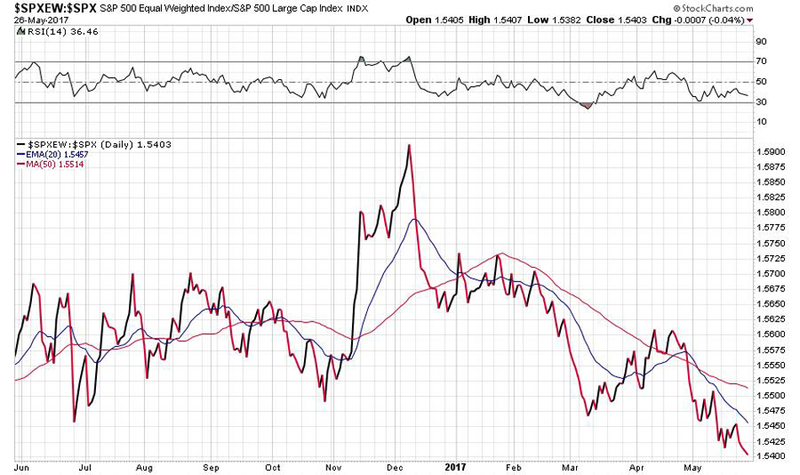 The move to “risk off” bond holdings suggests that ultimately either stocks or bonds will be wrong. Historically, bonds have tended to be right more often than not. I would not be a buyer of stocks at this level, dear reader. Yes, I could be wrong. But I do have evidence that the risks are far greater to the downside than up. And that’s what I try to get right. Next Next post: Do Cars Drive the Market?